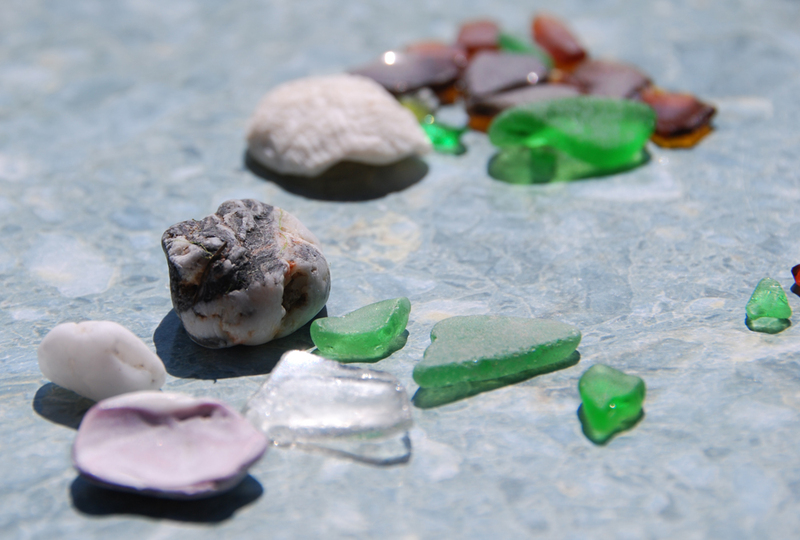 The only problem with looking for sea glass…is that you never look up. You never see the view. You never see the houses or the ocean, because you’re afraid you’ll miss something in the sand. 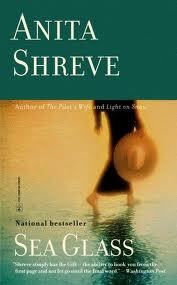 Anita Shreve wrote a book called “Sea Glass”. It was set in the Eastern USA after the stock market crash of 1929. The main character would walk along the edge of the sea and find bits of broken glass. She amassed quite a large collection and it became her most prized possession. Not that she owned much else to compete with it. From that time, I have marvelled at the human capacity to strip down to the basics. 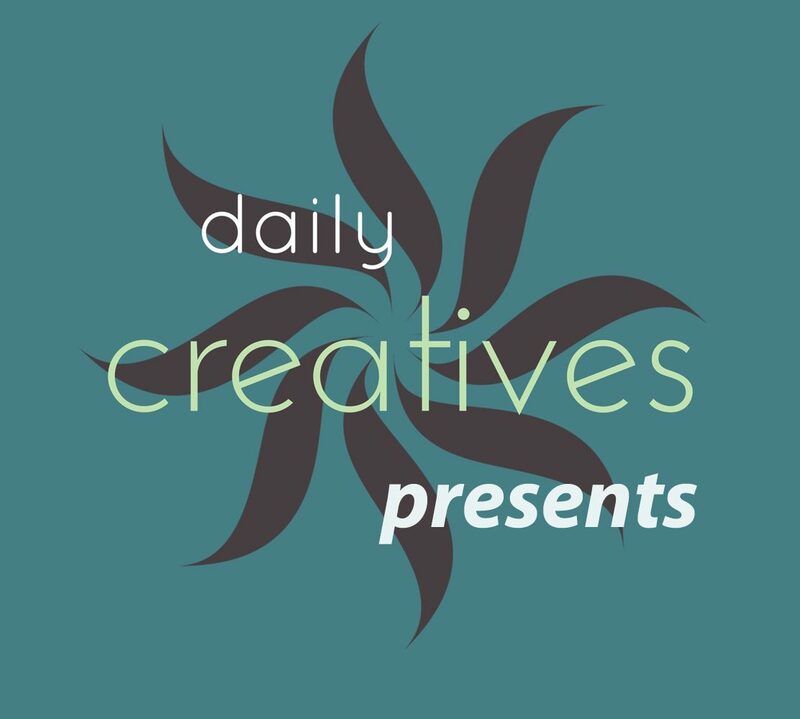 If you had next to no material goods in your life, would you find beauty in other ways? When I moved back to the beach town of White Rock, I started my own collection of glass. It is pretty large by now. I have created craft projects from it. I have, what should be called beer steins, full of it. Over the years I have decided the collection is fairly complete. Now, when I am at the beach, if I look for it at all, it is only the rare colours that hold my attention. The aqua, the blues and the elusive shades of orange and red. This past week, my family from Alberta have discovered the joys of hunting for glass at the beach. So like me, they have been stooped over combing the shore, looking for treasure. There is always more to find. Each tide brings in a fresh supply. When you are leaning over a really good area, and there is so much just laying there, it brings to mind the adage, “some of the best things in life are free”. It is an interesting pass time. Broken bits of glass which are essentially trash. Like the abandoned garbage dump on Kauai called Glass Beach. Tiny bits of every glass colour, mixed with sand, coral and shell fragments. I found that place very interesting. The sea was reclaiming her terrain and cleaning it back up. Day after day, washing the waste up against the shoreline. Breaking the foreign creations back down into their original elements. I’ve been carefully rescuing sea glass fragments from all my pockets. I don’t think my washing machine would enjoy them at all. Thanks for the week of good food and good fun! Might be the death nail for that old washing machine for sure! Will be a bit sad to see it go…one of the physical reminders of our childhood. You will need to be out here quite a bit more often to accumulate a proper collection of sea glass…..
I’m in no hurry to see the washing machine go! It might just need new belts so it spins faster.